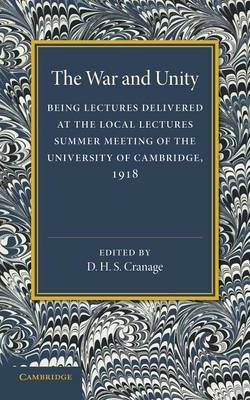 Originally published in 1919, this book presents the content of a series of addresses delivered at the Local Lectures Summer Meeting of the University of Cambridge in 1918. The lectures deal with the concept of unity from a variety of different perspectives, in the light of the religious and moral problems thrown up by the First World War. This book will be of value to anyone with an interest in theology and philosophy.